When you’re taking on a project around the house that is sure to generate waste, there are few things handier than having a dumpster right in the driveway. Dumpster Rental Atlanta has roll off dumpsters in a wide variety of sizes, many of which will fit in the average driveway and essentially bring a massive waste container straight to the house. Fill it up with your project waste or old junk, and we’ll come and pick it up and dispose of it. Other than tossing your waste into the dumpster – you won’t need to lift a finger! As much as we would all like to have the time to do a full house cleaning and remove all of the old junk every spring – it simply doesn’t happen. Most families tend to build up nice stockpiles of rubbish in closets, the attic and the basement that eventually needs to be thrown away. If you're fed up with every closet bursting at its seams with junk, it’s time to give Vine Disposal a call. We can deliver you a dumpster that will handle all of this rubbish, and when we pick the dumpster up, it’s gone for good. Tackling a home renovation project like redoing the kitchen counters, replacing all of the carpets in the house or finishing the basement into a full suite is guaranteed to generate a lot of waste. A roll off dumpster from Vine Disposal is perfect for gathering up all of those chunks of drywall and wood, plastic wrapping materials, and everything else that just won’t seem to fit in the garbage can. If you’re doing work on the upper floors of your house, the delivery driver may even be able to position your dumpster so you can toss waste out of a window or wall opening, saving even more time and freeing you from the need of dragging everything out to the driveway. Roofing experts recommend that a shingle roof be replaced once every decade or two, depending on the type of tiles used and how solid the original construction was. If you’ve decided to tackle a roof replacement, give us a call and we’ll get a dumpster out to you. Regardless of whether you’ve got bitumen or wooden shingles, this project will definitely generate a lot of waste. Replacing the siding on a house is no different – expect a ton of waste just from the old materials. Save yourself the inconvenience of dragging all of this to the dump using the family car and get in touch with Dumpster Rental Atlanta. We’ll have a roll off dumpster out to your place quickly so you can get to work! There are Infinite Uses for a Dumpster Rental Atlanta Dumpster! These are just a few of the uses that our clients across Atlanta have found for the dumpsters that they have rented from us. If you’ve got a home project that’s generating more waste than you're able to handle, or if you are finally ready to begin cleaning out the attic and basement, get in touch with us! We’ll get a dumpster over to your house as soon as you need it, so you can say that trash goodbye. Don’t forget – we’re happy to provide you a price quote for every dumpster rental job. 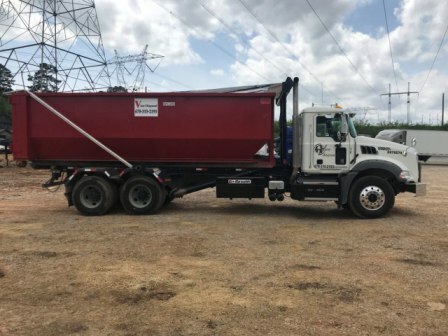 Call Dumpster Rental Atlanta at 678-315-2193 to speak with one of our friendly employees, or go to the Contact Dumpster Rental Atlanta page to leave us a message and have one of our team call you back.